After an injury prompted some big life changes, Jocelyn found a new feeling of zest, purpose and community in an unexpected place. Now, it's taking her to the Invictus Games Sydney 2018. An injury can impact more than how our body feels. It can shake up plans we've made, force us to reassess our goals. It can change our sense of self. 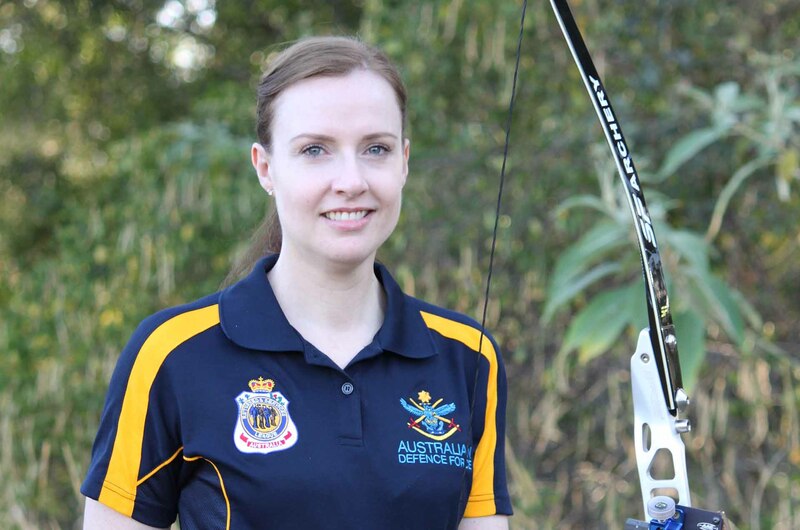 Jocelyn McKinley spent 11 years in the Royal Australian Air Force, working as a signals operator and an airborne electronics analyst out of bases around Australia and the Pacific and Indian Oceans. The experience invigorated her professionally and personally, and gave her valuable skills in leadership, communications and several languages. “It felt good to be part of a community serving our country,” Jocelyn, now 41, says. Then she sustained injuries to her knees and right wrist. In 2012, she was medically discharged and returned home to the Gold Coast. Adjusting back to home life and recovering from her surgeries wasn’t easy. “Even though I had family to return to after discharging from the Air Force, I felt quite detached from mainstream society and that I had lost an entire social network,” she says. There was a feeling of something lost, but Jocelyn kept looking forward. She made plans for a new career as an occupational therapist, learning how to help others get back to work and the activities they love after injury or illness. And a year after her discharge, she found a new community in an unexpected place – an archery club. “I attended an archery beginner’s course with my sister, and we both quickly became addicted,” she says. **“**I was drawn to archery because it’s a sport which does not require high impact movements or jarring of joints, and you can make it as social or individual as you want. You end up walking a lot, which provides great physical benefit. Jocelyn loved shooting arrows so much that she became a qualified instructor, and now regularly volunteers to train new archers at her club. “I enjoy being an active member of my archery club. Everyone is supportive of each other,” she says. “Joining the club, getting to know the members and meeting new people at competitions has been an important factor in my staying positive and keeping a healthy perspective while building my new life outside the Air Force. Now Jocelyn's new passion is taking her to the Invictus Games Sydney 2018, an international sporting event for wounded, injured and ill veterans and active service members. Created by HRH The Duke of Sussex, Prince Harry, the Invictus Games celebrate the power of sport to inspire recovery, support rehabilitation and bring people together. This year, the Games come to Sydney, with more than 500 competitors from 18 nations competing across 11 adaptive sports including athletics, indoor rowing, swimming, wheelchair basketball and wheelchair rugby. Medibank is proud to be a Premier Partner of the Invictus Games Sydney 2018.